Follow your Disney dreams to a place where storybook fantasy comes to life for children of all ages. Seek out adventures, create magical memories with beloved Characters and discover the fun where imagination reigns. 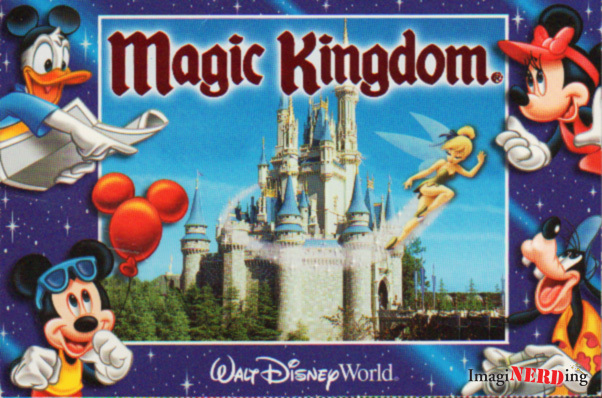 What cracks me up about this postcard is that Donald is wearing ears. Even he’s getting into the spirit of the Magic Kingdom!